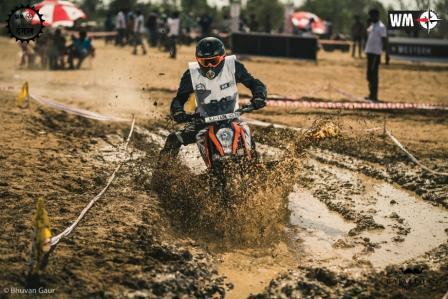 Rajasthan’s Jaipur-based Western Motorsports is back with its third season of Moto Dangal, an exciting event that aims to promote the growth of motocross among the enthusiastic bike lovers. Dubbed as the Hurdle Master, the event will take place on 22nd July and will include several categories including motorcycles, scooters, buggy, and squads. The first season of the event took place in September 2017 while the second season was carried out in March 2018. Not just men but women also took part in the event with full energy and fervor and that too on big beasts like Royal Enfields. There are contests for different age groups, whether you are a novice or an expert; if you love adventure this is the event meant for you. Besides, there are separate contests across categories like Pro and Novice for both men and women. The event intends to give a chance to bike lovers to push their boundaries and head towards becoming the ultimate champion in the world of motocross chaos. Not only there are several categories for participants of all age groups but there are interesting tweaks introduced in this season to triple the excitement. As the event has progressed into its third iteration, the competition has been made tougher in the form of new challenges. Besides, the distance between the start and finish point has also been increased to add up to the danger level. The registrations for Moto Dangal will open from 5th July and will go on until 21st July. However, participants can also take part in the spot but for that, the entry fee will be more. There are three categories for the entry fees, the early fees of INR 1000 is applicable who get themselves registered latest by 5th July up to 5 pm. Moving on the standard fees worth INR 1200 is for those participants who get registered by 21st July up to 5 in the evening. If one still misses out the deadline, he/she can opt for on the spot entry on 22nd July by 7:45 am. Previous articleRanveer Singh and Deepika Padukone are all set to exchange wedding vows on November 10? Here are the deets!